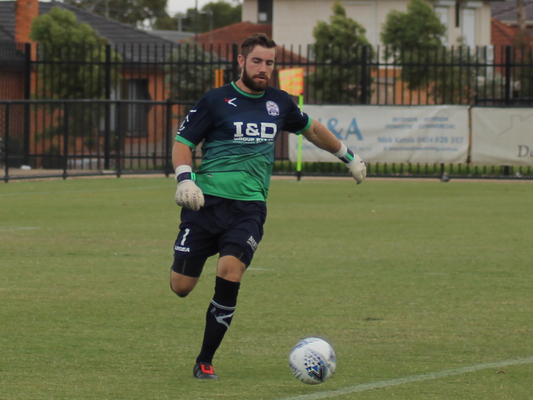 North Geelong Warriors came away from the Lion’s Den with the battle’s three points in hand after a 1-0 win over Eastern Lions in Victorian NPL2 action last weekend. But awaiting the Warriors at home this weekend will be Moreland Zebras, which managed a 2-1 win away to Goulburn Valley Suns while continuing its promotion push. The Zebras will seek to shake off the past two seasons’ disappointments, when they got ever closer to promotion only to fall away at the end of the season. This year the team seems to have stronger resolve. Helping its cause are tough victories like last week’s as well as the form of Alec Goodwin and Joshua McMonagle-Ihasz, who have put in regular goals with the support of a stable line-up. North Geelong will like its chances against the Zebras after its own tough win. In a physical contest, the Warriors were hot off the mark and provided two or three early attempts that were wasted. However, soon before half time Jamie Noggler and Darius Madison combined well to stretch the Lions’ defence. Madison provided a well-weighted through-ball for oncoming Ryan Opperman to nicely place out of the keeper’s reach. In the second half the Lions increased their ferocity, leaving the referee busy brandishing yellow cards. With the lift in tempo from the Lions, they almost broke through for a leveller twice if not for the sublime keeping of Hamish Flavell to deny the home team and take the three points to Elcho Park. The under-20s undefeated streak continued to six matches for the Warriors who had to fight back at 2-1 down with only 10 men. The team eventually levelled for a 2-2 draw thanks to goals from Daniel Gudasic and Anthony Leban. This weekend’s action at Elcho Park begins 12:45pm Saturday.